Webb Australia Group’s lighting design for Sydney’s Barangaroo Reserve, the city’s newest harbour foreshore park, has created a safe, energy efficient and visually attractive public environment for people of all ages. Barangaroo was a vacant 22-hectare former container wharf on the western harbour foreshore of the Sydney Central Business District. It is now being transformed into a thriving public, residential and commercial precinct with a waterfront promenade running the length of the site and is due to be completed in 2022. 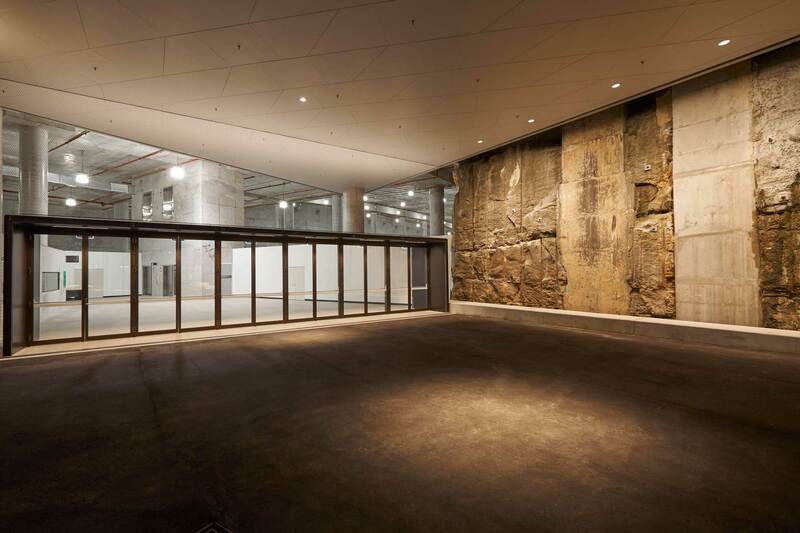 The Southern Entry, illuminated by ERCO Compact Wallwashers and ERCO Lightcast downlights, provides an entry statement to the majority of visitors who enter the park and future Cultural Centre from Hickson Road and features an exposed sandstone wall highly visible on approach. To replicate this sensation at night time, the sandstone wall is uniformly wall washed without scalloping, using specialist recessed luminaires mounted in the ceiling. 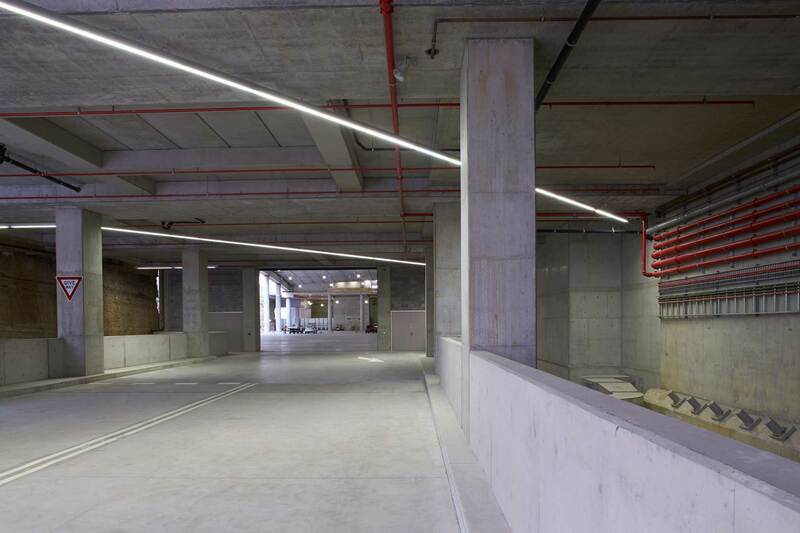 Australian made aluminium profiles from Jadecross and award winning linear grazers by Megabay illuminate the carpark and entryway ceilings.